According to resource recovery firm Axion, changing business models for plastic recycling could lead to more profitable businesses, higher grade material on the market and make investment in recycling more viable. 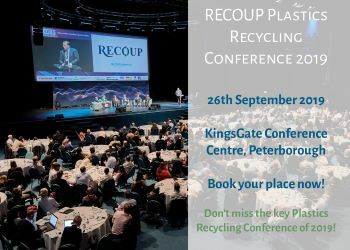 Axion head of circular economy Richard McKinlay said that a shift from the “traditional” recycling business model could possibly open up market opportunities for “lower quality” recyclates, such as that from flexible plastics. Others are becoming an ‘end user’ that buys in waste before converting that into a secondary raw material use in their own products. He said that variations in infeed or output prices cause difficulties for recyclers, and in an ideal world, companies would collect plastic waste directly from households, process it and the use the recyclable in new items. Targeting higher-value markets is another trend that is benefiting the recycling industry. Rather than selling HDPE for piping, firms are improving the quality and selling it for more demanding applications, such as packaging. Richard McKinley believes that this gap in supply of lower-grade recyclates could be filled by flexible packaging recycling. He said: “With a proposed tax on packaging with less than 30% recycled content, there will be a significant increase in demand for high quality material, potentially giving recycled compounds a higher market price than virgin. This should shift recyclate from packaging up the quality ladder, moving it away from applications such as pipes and transport and logistic packaging. This trend, he added, is likely to be generated by brand managers needing to include more recycled content for marketing purposes. Overall, he believes that an ‘interesting’ shift in the nature of recycling business models could bring a new era in the applications of recyclable materials, as well as one in which successful companies can thrive.